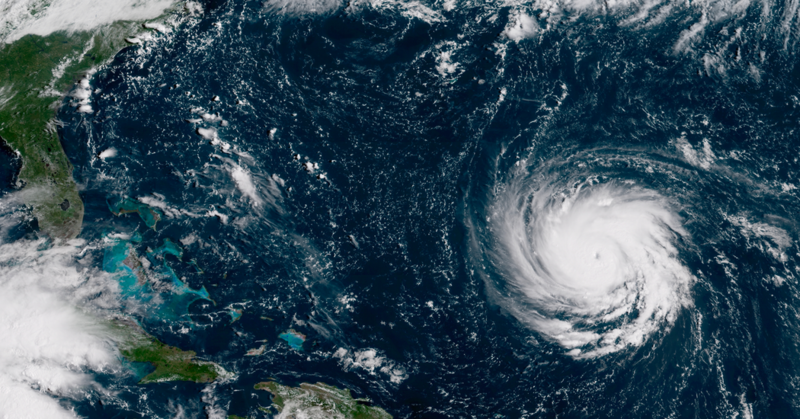 Hurricane Florence update: Can future Category 6 hurricanes be STOPPED? 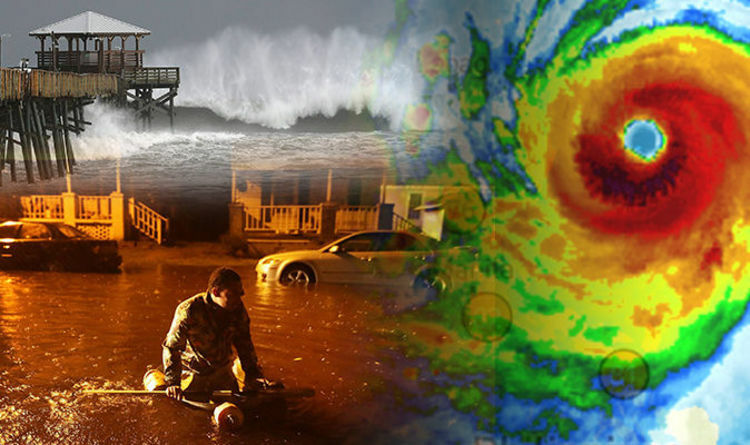 Just a year ago we were dealing with an historically devastating Atlantic hurricane season. It was marked by the strongest Hurricane – Irma – ever observed in the open Atlantic, the near total devastation of Puerto Rico by a similarly powerful category 5 monster Maria, and Hurricane Harvey – the worst flooding event in US history. 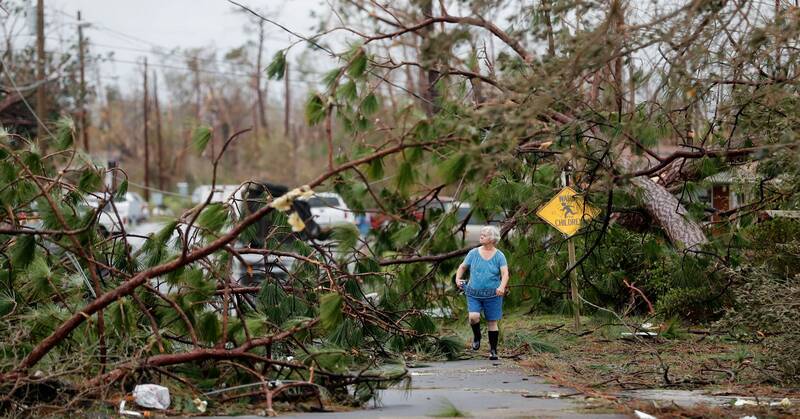 At the time, I commented here and elsewhere about the role climate change had played in amplifying the destructive characteristics of these storms. In this sense, the sometimes fractious debate about whether we’ll see more or fewer storms in a warmer world is somewhat misplaced. What matters is that there is a consensus we’ll see stronger and worse flood-producing storms – and, in fact, we’re seeing them already. 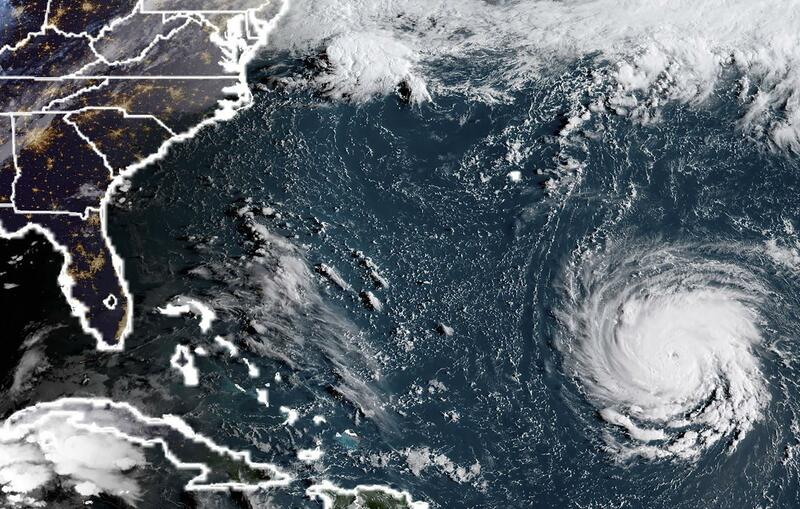 That brings us to Hurricane Florence: a climatologically amplified triple threat. First, there is the threat of wind damage. 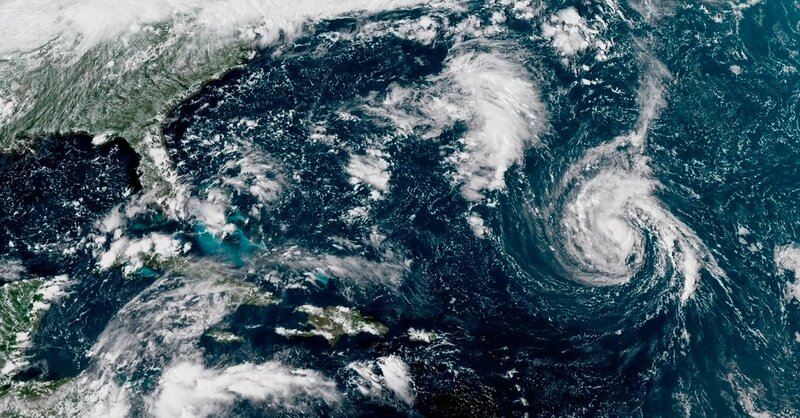 Florence strengthened into a monster category 4 hurricane with 140 mile per hour winds over those very warm western Atlantic waters. Past studies indicate a roughly 7% increase in the peak wind speed of a category 4 storm for each 1C warming of ocean surface temperatures. So the roughly 1.5C warmer-than-normal waters in the subtropical Atlantic where the storm intensified (and keep in mind that “normal” as modernly defined by NOAA as the average during the 1981-2010 period is itself already about 1C warmer than pre-industrial times prior to advent of human-caused greenhouse warming) corresponds to a roughly 11% increase in peak winds. But the destructive potential of a storm goes as the cube of the wind speed. So that 11% increase in wind speed corresponds to a 33% increase in destructive potential. That’s not a subtle effect. Fortunately those winds decreased substantially as the storm approached landfall. 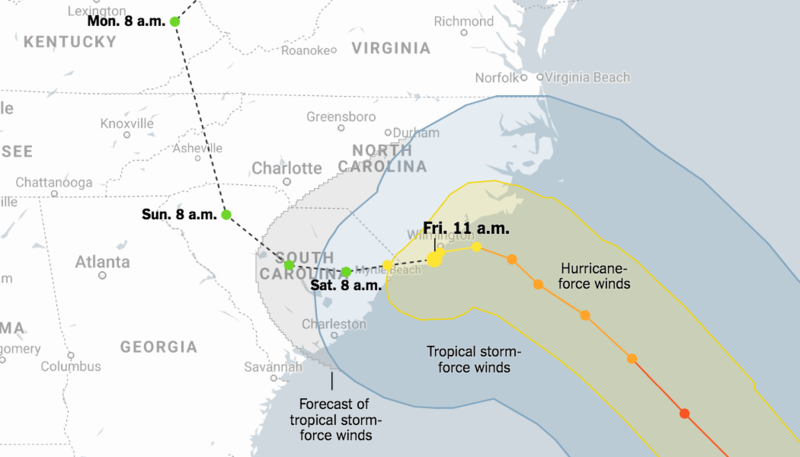 But even as a strong, very slowly moving hurricane pounding structures with near 100 mph winds for hours on end, Florence is doing considerable damage as it skirts the long Carolina coastline, taking down trees and powerlines and rendering large areas without electricity. That brings us to the second, even greater threat: storm surge. 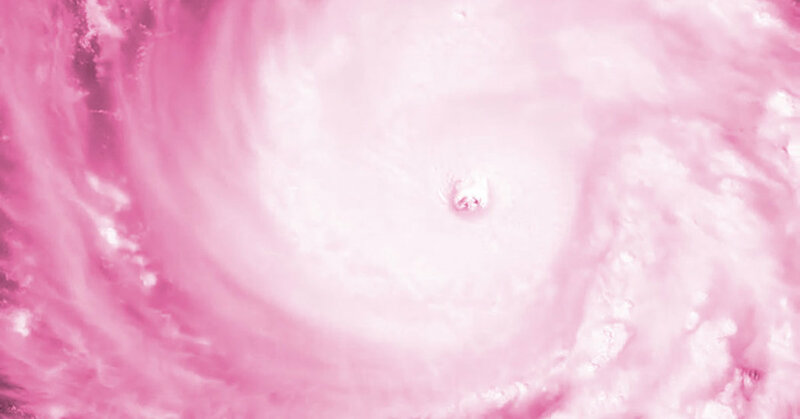 Though the storm weakened as it approached the coast, the storm surge was built up over of a period of several days, including the time during which it existed as a category 4 or strong category 3 storm. 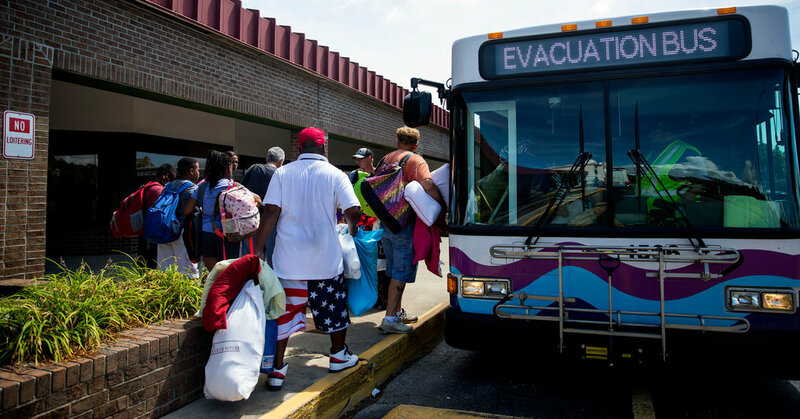 That means the catastrophic, roughly-10-foot storm surge from Cape Hatteras to Myrtle Beach was baked in well in advance of the landfall of the storm. Don’t forget to add to that the 1-foot of sea level rise that has occurred along the southeastern US coast, mostly due to climate change (there’s a small contribution owing to the geological subsidence of the coast). 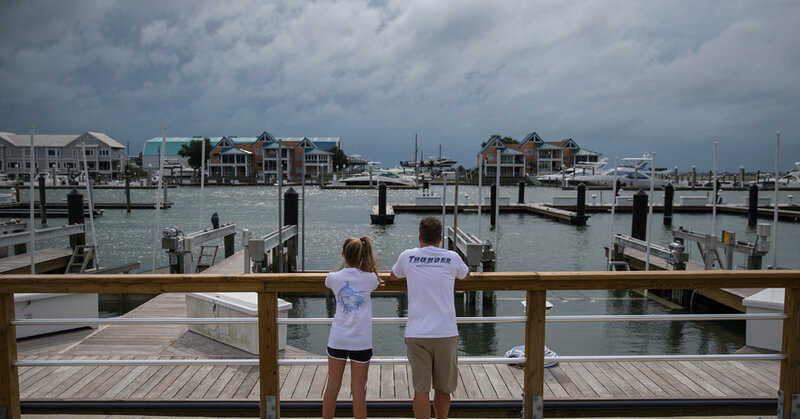 The wonderful little coastal North Carolina town of New Bernhas been particularly hard hit, with the downtown area flooded by the 10-foot storm surge and 200 people requiring rescue. 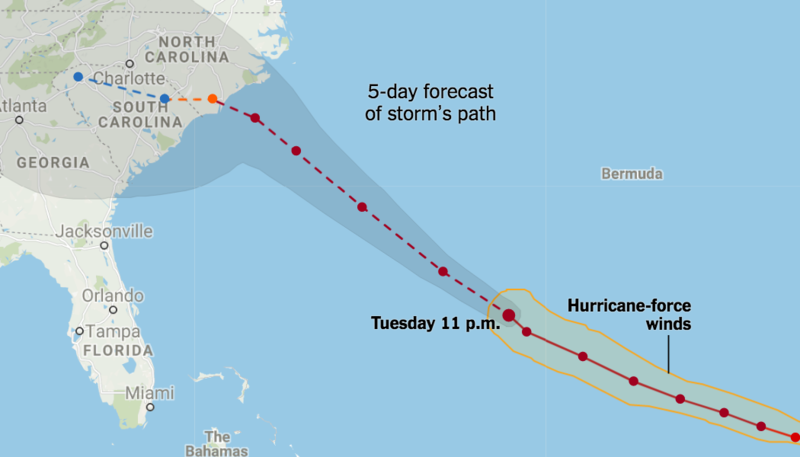 It is seemingly prescient that I gave a lecture in New Bern last year, during last year’s storm season, warning about the coastal threat from climate change, in a church that has now been flooded by Florence. 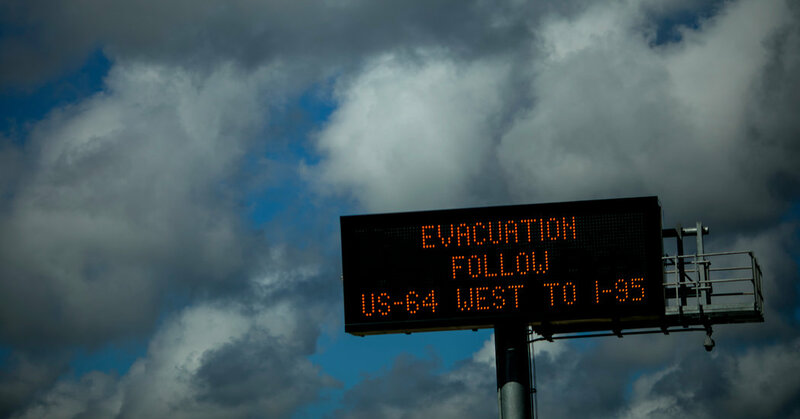 Some headlines have reported that Florence is a warning of what is to come. But in reality, it is a warning of what has already arrived. 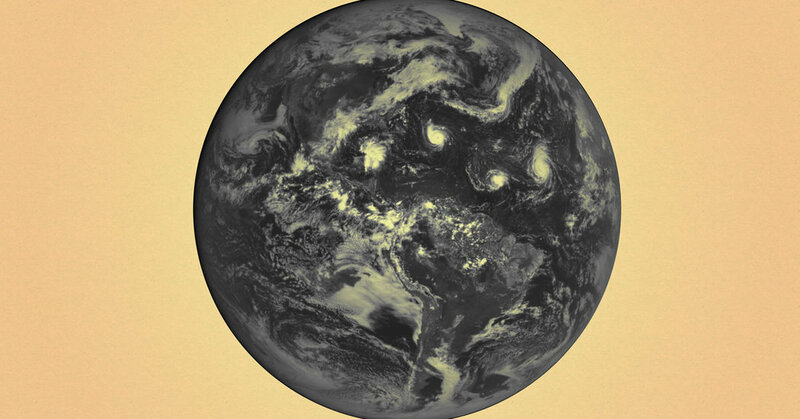 Far worse is to come if we don’t get serious, in a hurry, about acting on climate change. We must transition away from fossil fuels toward renewable energy even more rapidly, and we must elect politicians who will support such efforts. In the US, there’s an opportunity to do so in less than two months now in the upcoming mid-term elections, where we must elect politicians who support enlightened policies on energy and climate, and vote out of office those who don’t.